Something noteworthy, kilauea has a below average fluoride concentration for a basaltic volcano, but the sulfur content of the magma is the highest anywhere on earth, even more than Iceland. That would make sense with what HVO was saying about fissure 8 erupting the highest SO2 flux of any observed basaltic eruption in recorded history. I guess when you consider how long there was a steady 3000-5000 tons of SO2 daily (12,901 days) then there was about 55 million tons of SO2 from kilauea during pu’u o’o, or about 1.5 million tons a year. There was then bout 4.5 million tons from the leilani eruption, so leilani was equivalent to about 4-5 years of pu’u o’o in 3 months. By comparison holuhraun erupted 11 million tons in 6 months. I guess this shows that leilani and holuhraun were about the same intensity, holuhraun was twice as long and correspondingly had about twice as much SO2. It might have been somewhat less than twice as big in overall volume though, as I dont think the thickness of the lava in the kapoho and ahalanui areas has been taken into account (300 meters thick at the new coast) and that adds a lot (about 0.2 km3 from a rough calculation). 100 million is only 2 pu’u o’os. Anyway if you want flood basalts, Hawaii has the volume to age ratio of a pretty big flood basalt, it just doesn’t have 1000 km3 individual lava flows. However lava flows as big as 100 km3 erupted north of the islands in the submarine north arch volcanics, analysis found the magma to be full of bubbles and that it was likely erupted rapidly like a flood basalt proper, all of this is in the last half million years and probably still ongoing if also infrequent, likely there is several thousand km3 of lava erupted down there. The Hawaii hotspot has erupted about 600,000 km3 of lava in the past 2 million years, first as Maui Nui and then as Hawai’i, and about 150,000 of that is in kilauea and mauna loa on their own, mostly in the past 300,000 years or so. The columbia river basalts – a ‘true’ flood basalt – erupted maybe 200,000 km3 in 3 million years, 1/5 of the rate of Hawaii, it just decided to do it very episodically and so the flows were individually very big. “incapacitated” → The jury is still out on that one. It is still feeding lava into the east rift. That is not where it would be expected to go after an eruption like this year and the drain of magma it caused. The inflation near heiheiahulu is not insignificant, it has reached over 10 cm in only about 2 months, comparable to pu’u o’o before all this happened. That was the boat store / shed, I believe. Expensive…. I think “A” boat store / shed is better phrasing. The mess down there it pretty extensive. 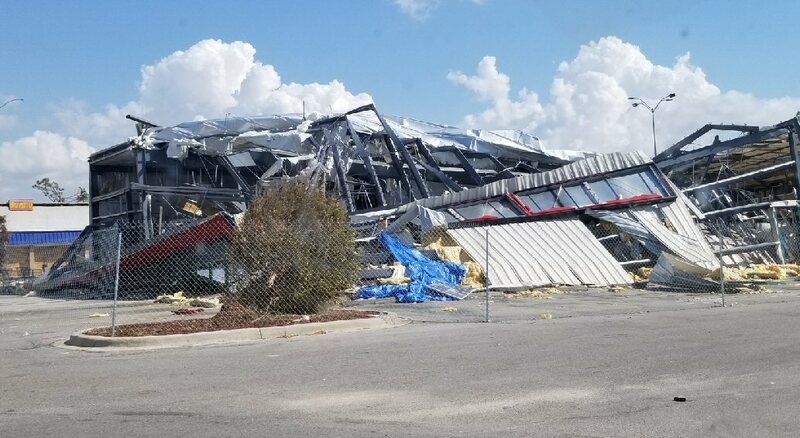 For all; the significance of it being a boat shed is that one end of the structure is usually open and allows wind to get up inside of the building. Flying park rats have been around much longer than I thought. It’s not a “bad” movie, but the ending does leave you hanging. That the title card appears just before the movie ends is an interesting touch. i’ve seen enough snow… and frost and ice…and dark…. really going to miss this one… but the pillers are quite high so must have large tide. Can’t be eastern Canada?? Must be Iceland? Well, yeah, but where in Iceland? It’s an honest question, I’m curious. And I really would have liked a connection about what exactly was going on. It’s one thing to let your audience fill in the back story, quite another to leave the central premise hanging. I think that’s why Steven King stories are so bad. He spends all his time on character development and then haphazardly cobbles sn ending together… but at least it’s an ending. The part that throws me is the placement of the moon. That implies a view pointing mostly east or west. Note the sun (moon?). It is obviously winter so the sun must be low in the southern sky. The boats are north of the mountain. That rules out most of Iceland’s glaciers which are on the south coast. Why are the boats in the water? In a freezing climate, they would normally be on dry land for the winter. Nowadays.. but in the past sea ice around the north coast of Iceland was not uncommon. And the sea may be ice free but the harbour may not be. That’s two times within the past decade that the sea has frozen over around the UK. In Iceland being that much further north it’s likely a much more common occurrence. If it is the 2012 one about physiologist Agla and filmmaker Gunnar waking up to find their camp abandoned, the movie was filmed in Iceland on Langjokull Glacier. As for the harbour, Akureyri Husavik? Husavik faces east and has similar mountains. Yep, that’s the movie. I got a kick out of it just from looking at the terrain. Some of those scenes just didn’t mesh well with the story. The parachute flare visible over the guys right shoulder before any one in the movie had fired one confused me. And I nearly choked when it appeared that she had administered defibrillation while her companion was still performing CPR. I thought for sure that the next scene was her dragging his body and not the other guy. 700 million cubic meters of subglaical lava was emplaced under a week. I wonder what the eruptive rates was the first days… huge. 100 million m3 a day, about 8 times the average for fissure 8, or about 1000 m3 a second. Basically holuhraun on its first day but subglacial. It would have been an impressive lava flow if on dry land, probably about as big as holuhraun in area but not as thick. Still rather a lot less than grimsvotn 2011, or skaftar fires, both of those were around 10,000 m3/s which is probably beyond the threshold for the basalt being pulverised by the force of the blast – these eruptions would have been plinian whether the glacier was there or not. In fact every plinian eruption is dangerous, but why would a basaltic plinian eruption be more dangerous than the more usual andesitic, dacitic or rhyolitic ones? Why would a Plinian basaltic eruption be more dangerous? Simple. People wouldn’t be expecting it. People living near volcanoes such as Taal or Ranier or Vesuvius know that when it erupts it can go bang in a big way. They may choose to ignore that knowledge, but they have it. People living near volcanoes such as Kilauea or the Icelandic basaltic volcanoes don’t realise that such a thing as a Plinian basaltic eruption exists: their conception of those volcanoes is that at worst they can do something like Holurahn or Leilani Estates. In other words the vast majority of the time you have enough warning to get out of the way of the eruptive products and even the gases can be avoided or mitigated in a lot of cases. They have no experience of a really, really big basaltic eruption like Laki. There are no photos of Laki. There is no film of Laki. The most we have are descriptions from the few witnesses and some paintings. Photos and film make an enormous difference to the immediacy of an event: look at the reaction They Shall Not Grow Old from Peter Jackson has garnered. The main thing he has done with that is taken WWI footage, slowed it down to the correct frame rate, cleaned up the scratches etc on the film, and then done a very good job of colourising it whilst adding some foley sound, dubbing some of what lip readers determined the soldiers were saying when filmed and put some recordings of veterans from the 1960s into the documentary. It has an enormously higher impact than the original, untouched footage. Conversely WWI battles are much, much more immediate to us now than the Battle of Waterloo was a century ago. We are now at the same distance from the battles of 1915 as they were from the Battle of Waterloo when WWI ended. The last WWI veteran in the UK died less than 10 years ago. Due to lower lifespans the last Waterloo veteran died after a bit less time in 1898. Nevertheless at the 100th anniversary the vast majority of people would have had a decent chance of knowing someone who was around at the time. We can see footage of the events and photographs of the events. Even the US Civil War is much more immediate than events only 15 to 20 years earlier because of the number of photographs associated with it. We have footage of a very big non-basaltic Plinian eruption at Pinatubo in 1991. Far from the size of Tambora of course, but still pretty large. We have photographs of the Valley of Ten Thousand Smokes after Novarupta. We have nothing comparable for a really big basaltic eruption. Newberry has that potential too.. 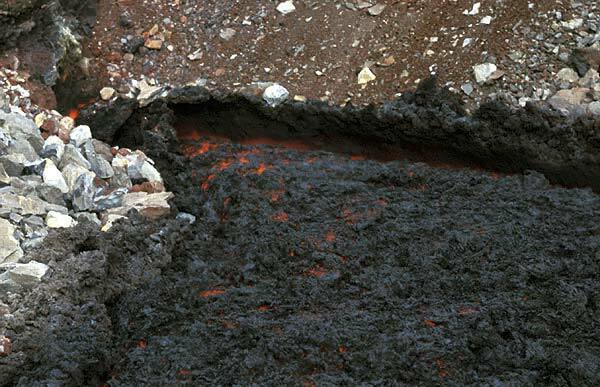 Some of kilauea’s prehistoric eruptions had pyroclastic flows that went as far as 20 km from the summit, the tephra is exposed in some of the chain of craters. The 1790 event, just like skaftar fires, is a deceptively recent event that was not actually recorded in any way, except second hand reports from people who saw it as children. The situation now is very similar to the conditions that existed before that eruption, and yet 10000+ people are generally wandering around within the danger zone at a given time, probably more now. The danger zone is way bigger than you would expect too, it includes Volcano, most of the chain of craters, in an extreme but not impossible case it could include Pahala and much of the subdivisions east of kilauea. Explosive eruptions could also happen in the lowest part of the rift, kapoho crater is proof, 1960 is observed. Also I would say that some of etnas lava fountains would be a good approximation to the initial stages of the skaftar fires. The only difference is that there were no lava flows on Etna with these eruptions. Izu oshima in 1986 also, 1600 meter lava fountains along a fissure, though again with fairly small lava flows. Holuhraun and Leilani could be seen as the large VEI 6 of basaltic volcanism, comparable to pinatubo and krakatoa, skaftar fires is somewhere in the upper VEI 7 almost a supervolcano range, one of the most powerful eruptions in the Holocene epoch. The energy of that much lava cooling to room temperature is enough to pulverise 600 km3 of Rock to ash, no explosive eruption in the Holocene has reached this point, or even come close, and they definitely aren’t every few hundred years either. Really the only thing more energetic than a big basalt eruption is a big (1km+) asteroid impact, but those make VEI 7s look common. If you want to take a look at a subplinian basaltic eruption: 2015 paroxysms of etna’s main crater. 1400m high Lava fountain, total eruption column 8km. I watched it live in total awe. That would be a real pity. I like that asteroid. This particular asteroid would create a crater about 300 km across. You’d lose rather more than Hekla and Katla. It is also bigger than chicxulub. No warm blooded animal bigger than a cat would survive. It would be dinosaur deja-vu. 25 000 C or something like that! The first second of impact is like placing a small B class star on Earth! Impact Effects Program output for an Eros type object using plausible inputs. Those numbers are wrong. The crater size comes out as 3 km which is much less than the size of the asteroid – not possible. You put in a density of 2.8kg/m3. That is about the density of air. The correct value is 1000 times higher. Just using what the fallible tome gives me. Roughly half the melt remains in the crater, where its average thickness is 749 meters ( = 2460 feet ). Seems to be deep enough to incorporate most of the magma chambers into the destruction. Within 500 km of the impact, you’re gonna have a really bad day before any thing from the strike gets to you. You’ll be laying there writhing in pain when the shock front gets to you. Much of the body suffers third degree burns. That’s very close to the Vredefort Dome impact crater in SouthAfrica, one of the largest in the world and is visible one Google Maps for those interrested. In the IMDB site it says if you click the link on filming locations it’s langjökull glacier. But this particular image can’t be from an in-land glacier. I don’t think that’s a glacier at all, just a snow dusted mountain. The best match I can find on Gurgle Urt is the harbour at Ólafsvík on the Snæfellsnes peninsula. yes, that is very plausible. It has that harbour wall, Not sure about the mountain but presumably this was a tele-lens. Another possible location would be somewhere in the eastern fjords but in those mountains the horizontal basaltic flows are easily visible and are usually flat topped. Slow and steady and viscous. And this shows the last gasps of Holhuraun in 2015. Poor Holhuraun… it runned dry. In total 1,6km3 of lava was burped out. thats 1600 million cubic meters. just slightly ot but i’ve observed the moon up here in Alaska and it can be anywhere from any crazy place in the sky….. i’ve seen it from NNE to NNW and including just above the southern horizon… but never high over head. ….. One cannot tell direction up here with the sun or moon…. Better luck with the north star…. i have seen the sun go down just about north…. but then it get’s righ back up again…;) Best!motsfo and don’t forget that freezing water depends on salt amount…..
“clock ticking” when will Katla erupt…. Im tired of waiting… so tired…. I wants action now! now! I wants an eruption! I wants an eruption! I wants an eruption! I wants an eruption! I wants an eruption! So you want something like what happened with Laki then do you? Do you want 20,000 people dead? That is the estimate of the excess mortality thanks to Laki. Please think through what you are saying before you say it: that way you won’t end up advocating for something that will kill tens of thousands of people. What power the Earth on our lives can impart! Here in this blog and beyond – to you. Well, sorry. I’m no poet but I do want to say how we enjoy your fascinating poems. Skaftar fires was in an uninhabited area, an eruption on that scale isn’t restricted to its local area. Anyway bardarbunga already did its big thing for this past few hundred years, holuhraun was as big of not bigger than most of the veidivotn events when DRE is used. 1477 is still bigger but not significantly so. Skaftar fires was a whole different kettle of fish to anything bardarbunga has done since the early Holocene, if you remove thorsjahraun as an outlier, skaftar fires is bigger than all the other veidivotn eruptions put together. The energy release of any of these flood lavas is on par with the eruption that created long valley caldera, and way bigger than kikai – the biggest Holocene explosive eruption. Even using the conventional VEI scale it was at least a large VEI 5 just from its initial vent clearing stage, these people must have watched as a massive line of plinian eruption columns changed gradually to 2 km high jets of glowing yellow-white hot lava, then within days the lava is on the coastal plain with them. The eruption that created the roza flow 16 million years ago must have been similar but orders of magnitude larger, the opening phase could have been a VEI 7 in its own right with all the associated features, and then the lava floods out after that maybe for years at rates that are still way higher than observed basaltic effusive eruptions, the cones created could have been like mountains, sentinels to this great eruption long after the lava has grown over. whats the largest iceland can do? Icelands hotspot is slowly becomming more powerful as carl says. And I think someone from IMO stated it once as well. So, if it’s new, then that makes all the central volcanoes underneath Vatnajökull, just a series of pubescent facial anomalies. Maybe not quite the same or as impressive of an eruption but nishinoshima is probably going to have more of a future than surtsey, it will likely become a new larger island while surtsey erodes to a plug. Sierra Negras 2005 eruption had giant fountains! Ground penetrating radar gets another find. Interesting, its a bit off with the dates though but it is also over 50 years old so that is probably acceptable. The mechanics of the rifts are what I found interesting. Looking at the location of the JOKA station, it is on the north side of heiheiahulu, very close to the main vent of the 1961 eruption and where the june 27 flow exited the rift zone. It is being pushed north slightly, which means that the magma underground is south of the station, or basically directly under heiheiahulu. This is where I think there is a magma chamber, not as big as the ones uprift or under the summit but there must be some magma storage here after having two shield eruptions from this same spot. Maybe there will be a 3rd in the near future, . Depending on the location of the shield, whether it is on the north or south side of heiheiahulu this could be either a boom for tourism if it flows south or it could be a disaster if it flows north to pahoa or east over the entire area. I guess if it is big then all of those will probably happen, but nothing has happened yet so all we can do is watch and wait. The problem with having a shield in general this that in the long run is that it is very likely the only way an eruption will end is with another terminator event, very likely almost a repeat of this year and so things look grim for lower puna right now. A while ago Albert said that maybe almost none of lower puna will be left untouched by the lava, maybe that is true and it will just take a bit longer. With the area between the LERZ and the MERZ reinflating things do look grim for Lower Puna, after taking a fast look to a topographic map there are several small towns that could be affected by eruptions taking place in the upper part of the LERZ, mainly Pahoa, Nanawale Estates, the surviving Leilani and the Keauohana-Kehena-Keekee Homesteads. The eruption of this year failed to be a terminator event like 1790 and close a period of ERZ activity, there is also an important amount of magma still stored in the South Caldera Reservoir and UERZ so the potential for a big terminator event in the close future is there. There is also the posibility of the ERZ opening a sustained vent there or maybe a series of small eruptions, at least one of the two would probably precede the final event. There is also a chance that the terminator eruption will happen in the upper end of the Puna Ridge, offshore. I don’t think the northward movement has completely stopped, it has slowed slightly though. If the station is also going west slightly then the main source of inflation is in that direction, just east of heiheiahulu, possibly one of the less desirable places an eruption could occur as it has a wider reach. The puna ridge is interesting, even only a few km off the coast it is hundreds of meters deep, there seems to be some mechanism which prevents eruptions from happening offshore or with any real size. There is a report of a small event in 1884, and sources seem to confirm it actually happened, but this was probably a local process with no summit influence and it only lasted about a day. In 1960 there were many very small vents trending east from kapoho cone with one of them some distance offshore, these are mostly buried by lava from the main vent and the face the main vent stayed on land shows that it might actually not be favourable to erupt underwater, maybe the inward pressure of the entire ridge is high and so it is easier for magma to erupt in lower puna despite the higher elevation. At the start of this year there was a sizable depression in the rift where the lower part of Leilani was. That depression was exactly where this years eruption happened. There is now more of a depression in the northwest part of Leilani, and there is also a rather big gap in historical activity there and going west to heiheiahulu, and the upper part of this gap is exactly where the inflation is occurring now… Not to be a portend of doom but this just can’t end well. This was Surtseys lava lake in 1964. The lava lake above the vent was there for 13 months. The lava lake feed lava tubes and overflows expanding the surtsey island. Here is another shot, of Surtseys lava lake when it was going. it was quite large 80 meters across, sometimes it overflowed all over flooding the entire south island. Surtsey very well indeed as a child. These are likley the only moving images of Jolir and Syrtlingur in action. This is in a way Holhurauns volume erupted underwater, but somewhat slower. Surtsey in first days likley had eruptive rates of 100 s of cubic meters a second, then it slowed down alot. Last activity was seen in 1967 I think. these storms are the most destructive of all storms. Dunno… that’s far smaller than Camille was in ’69. And, like 2004 Ivan revealing part of Tristan de Lunas lost flotilla (September 19, 1559), Michael may have uncovered ships lost in 1899. What an amazing possible future for Willa…and if the FV3 experimental model pans out, we’re gonna be talking about this one for a while. ATTM, the forecast has it tracking NE off the Pacific and pummeling the Mexican coast/NMexico before tracking into southern Texas then east along most/all of the Gulf Coast. As Willa’s remnant low continues east, it will track right over the hardest hit areas near Michael and the Florida Panhandle before shifting NE to pay the Florence folks a visit. Once Willa hits water again, somewhere near the Outter Banks, the storm will re-intensify and continue out into the Atlantic, however a sizable piece of energy…possibly the core low… will transistion into what looks like a pseudo N’easter as it begins to tracks NE along the Atlantic coast. By the 28th/29th, Willa’s remnant/sibling low will be near southern New England before the whole mess starts lifting NE and out of the area. So in a nutshell it looks like the entire (and super-soggy) American eastern seaboard, the SE coast, the entire Gulf Coast, and the desert SW from eastern Arizona to west Texas are going to get popped by a EPac hurricane remnant-on-steroids. Dunno. There’s already the makings of a Low near Corpus Christi, Willa seems to drive into that and take over. It’s not uncommon for a storm to sap the energy of a weaker system and use it’s moisture and/or forming structure as it’s own. It’s not often, but not uncommon. The cute bit, is that like the S Georgia coast and the area around Jacksonville with Michael, they got a hurricane warning for their coast from a storm coming from the west. S Texas may be getting one from the other direction as well. Bad time to be on the road on foot or in a vehicle in Mexico. Dry gulches can get un-dry very quickly. OT, but quick comment. I know with the recent hurricanes in the Carolinas, FLA and VA (I live in SE VA and was affected by the last one) that hurricanes/storms have been a topic here. Full disclosure, I am not a meteorologist (though I did stay at a Holiday Inn Express one time), but to combine both your posts, I saw a forecast today that the hurricane will cross Texas into the gulf and combine with the Low developing in the gulf noted by GL, then potentially transitioning into the N’easter noted by CH. I can’t disagree with that. What I am waiting for is the backside pull that will draw winter down upon us. We got a bit milder after Michael, but I’m wanting more. When I let the dogs outside I want them to look at me like I’m crazy. One oddity that I’m seeing in the patterns, is that the “Azores High” is a bit north and acting as a block to normal storm flow. And that’s funny, we got colder. We’ve had lows in the 40’s and 50’s the last few days and highs in the 50’s and 60’s. Just got used to having the AC off (and saving some money), and my wife turned on the heat this evening (I’m gonna turn it off when she goes to bed). That Atlantic blocking high is going to send an artic blast over us in the UK at the weekend. A rather unusual pattern for this time of year as it’s usually full jet stream storm conveyer belt time. A warmer artic will do that though, a weaker polar vortex (due to reduced temperature contrast) means a meandering jet stream and more warm/cold plunges. If we get snow this weekend on the Moors it’ll be the first time I’ve ever seen snow at this time of year. The hurricane (as a self-sustaining system) itself will have long collapsed by the time it reaches Texas, but remnant moisture and a residual cyclonic flow over the Gulf coast will be drawing in oodles of Gulf moisture that has the potential (IMHO) for setting up some banding/squall lines that can be prodigious rain producers..on the order of several/many inches in a few hours should one of the lines start training over a given slot….and especially not good for water-weary folks in the recent flood areas. As Lurk mentions, the backside may be the more important feature as colder air will start working into a really juicy airmass with enough evapotranspiration present to support heavy rains/convection unusually far inland. If the timing is right for the CF coming down from the NW to encounter Willa’s remains, we might be hearing of some severe storms breaking out all along ex-Willa’s path….and maybe even a tornado given the steering jet will be overhead, with decent low level sheer to enhance rotation. Well, tornadoes are something the SE US is good at. We always have em spinning up along advancing fronts. The good part is that ours don’t typically get to the size of the Kansas monsters. They grow unstable and peter out just as quickly as they form… but they can still rearrange your furniture. There is also this from yesterday, just a short vid by John. Theres two models that he showed, the one that is more popular is that there is just a tube in the east rift which erupts at random locations, and there is the other model where the rifts are more fundamental and are active to the base of the volcano. I think out ideas are much more in line with the second model. The bit I dont get with first model is how the magma actually intrudes down, it wouldn’t really make sense for a buoyant liquid to sink. It also doesn’t really explain why there were no eruptions for long periods on the east rift, then lots over a similar period. The depth of the main conduit also probably decreases with distance from the summit, eruptions at the summit can probably be fed by lava that bypasses the magma chamber entirely – 1959, and these deeper set intrusions can probably also move along the rift at depth and probably quite slowly and with little seismicity, this was also observed in 1955 and 1960 where quakes only really started beyond heiheiahulu, and in 1840 there were few noticeable quakes at all. 1924 seems to have been a pulse of magma but there was not enough stored magma to cause an eruption. This year was probably not as deep because it started from the middle of the rift, so it was already higher up. This deeper part might actually be the reason for the distribution of shields on the east rift stopping quite abruptly, these eruptions could be fed from quite deep and not directly from the upper summit reservoir but from deeper storage areas. Maybe in around 500 AD something shut off the east rift and so all the magma had to go through the summit, but over time it managed to get around this and so now it is more preferable for lava to erupt out of the east rift slowly. I am more of a fan of the tube model though. It can perfectly explain the periods of low and high activity: when activity is high the tube exists and then an event would cause it to drain away and partially collapse entering a period of low activity until the conduit slowly starts recovering. 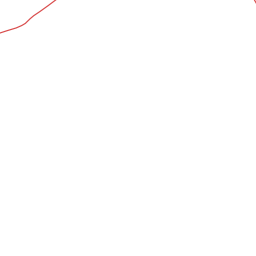 One model is not incompatible with the other either, some eruptions could be using deeper part of rift like 1840 or 1924, particularly when the conduit is not present and then the conduit would feed shallow dikes that intrude oblique to the direction of the conduit and would allow sustained shield-forming eruptions to keep going. HVO probably sees it as a permanent structure and there is where I disagree. I do think that there is enough evidence for the existence of a conduit as without it it would be more difficult to explain some features of the UERZ mainly how magma is transported oblique to the direction of dikes, the weird seismicity of the upper ERZ and the existence of reservoirs (which probably form along this conduit in those places where it cuts the dikes as the conduit itself develops). I am not sure if tube would be right way to refer to it or how intrusions like 1840 that are probably not intruding through it work. I know what you mean but I think it is not a simple shallow structure. At the very least it must lie some km below sea level if fountains as high as 500 meters can erupt from it – these require a substantial run up. I also don’t think the rift is open all the way through under kapoho, probably only as far as to heiheiahulu and covering the area where shields are formed. Typically events in the lower rift are very seismic but only from beyond the heiheiahulu area, before that it is basically silent. Even in 1924 this was the case, despite there not being enough magma to erupt during that event. I would imagine this structure to be pretty deep, probably extending nearly to the base of the volcano near the start of the rift but getting shallower further along, and intrusions branching off the end of it or straight up, but not down. In cross section the conduit would also probably be oval shaped being much taller than it is wide, but still much wider than a single dike on its own. The same sort of thing but smaller probably exists under the seismic SWRZ and a more localised magma body under kilauea iki but no shallow magma under the part between hi’iaka and keanakako’i craters or the northern part of the caldera. The volcanic SWRZ seems to be entirely superficial and fed from the now destroyed halemaumau reservoir. It’s activity seems to occur within the top 1 km of the volcano and at it above sea level. If you ask me I don’t even think the conduit existed by the time of the 1924 intrusion, if anything it was starting to form in the uppermost rift, the area of Pauahi and uprift. There was a publication where they inferred a reservoir 4 km below the sea level under Napau that would have been reinflating after the 2011 Kamoamoa fissure, it is probably the only mention you will find to this Napau reservoir but it makes perfect sense to me, its location and depth. This Napau reservoir would be directly feeding the Pu’u’o’o dike which would basically radiate from there and would mark the depth of the ERZ conduit, only if the location of the reservoir is right. Within the top 1 km of the volcano might be unnecessarily deep as the dike thought to have feeded the 1919-1920 Mauna Iki eruption was exposed on the walls of the 1924 collapse,if someone had decided to dig a hole some tens of meters deep between Mauna Iki and the summit it might have found a fiery surprise. The Seismic SWRZ on the other hand is much more similar to the ERZ and probably also has a conduit on its uppermost part that is a few km deep, it has the same linear swarm of earthquakes at a depth of ~3 km the UERZ has, and this depends on the intepretations of which one of them is that it represents the roof of the magma conduit responding to pressurization. Apparently during the onset of the Mauna Iki eruption many cracks propagated from the summit to the 10 km downrift vent and these cracks where observed to be filled with with lava (or would it count as magma?) but didn’t erupt to the surface, so the dike was practically in the surface but would’t be able to build enough pressure to erupt upwards. So I wonder how could the dike have enough pressure to propagate downrift but not to send magma upwards, I guess the cracks were already mostly there, ready to be intruded. Kilauea does some weird things sometimes. It is also quite noticeable that this line on the rift seems to go exactly along the rift axis, while the fissures of other eruptions all orient parallel along the koae faults and east rift. This point might be the actual gap between the mobile south flank and the less mobile flank of mauna loa, and as such a convenient weak point that would allow superficial drainage of magma from the upper summit system. The lowest of the 1823 vents was at 30 meters above sea level so the dike was probably about 1 km deep under halemaumau, mauna iki would have been probably even shallower as you suggested, there were a lot of fairly randomly spaced vents there in 1919, some of them were probably from lava at a main vent flowing into old lava tubes and making rootless vents, I guess maybe the lava was just not pressurized enough to properly erupt, the lava lake then was about twice the size of the overlook crater lava lake, impressive, but not very much lava compared to the volumes in most flank eruptions. Overlook did drain and an intrusion from the south caldera reservoir almost erupted in 2015, it probably stopped because the dike reached equilibrium with the lake and as the ground above the dike was about 200 meters above the lake it was not enough to erupt. This spot might be important in the near future, it could form a pit crater or fuel some eruptions. Mauna iki is basically in line with the great crack which fed the 1823 eruption, and the 1971 vents reused the mauna iki fissure, and in all cases there was summit activity with or just before these eruptions, in halemaumau. I suspect the M4 and the M4.5 are two versions of the same quake since only one is 99% quality and they have identical timestamps. The M4 is what the automatic system detected and the M4.5 is the manually verified. This happens from time to time and the one with lower quality usually disappears after a few hours. Looking at the CSM graph and assuming a constant average rate, there should be enough built up strain by now for another one of similar size or larger. Have you got an accurate plot of the location? My map points at intra-plug, but it could be southern rim. I did a quick plot and this one looks like it’s on the southern rim. All the quakes are tectonic in origin and its the caldera plug faults, that interacts with the mid ocean ridge. bardarbungas upper parts are free from magma and quakes alot. Still the volcano is refilling at great depth, but some quakes close to – 30 km suggest its quaky and brittle and great depth. Bardarbunga is not a very active volcano, but it have capacity to do some huge eruptions. Still there is lots of large lava flows outside Bardarbunga, suggesting very large infrequent eruptions. There is also a fault and transform faults in these areas. Holhuraun drained Bardarbungas upper magma system. Most of the magma goes into the spreading volcanic system and never erupts. There will be a long time until this volcano erupts again. Im supprised that bardarbunga have had so few histroical eruptions, despite it sits near the center of the Iceland hotspot. Is Bardarbungas caldera acossiated with the Thjorsahraun eruption 8000 years ago? 30km3 drained out. 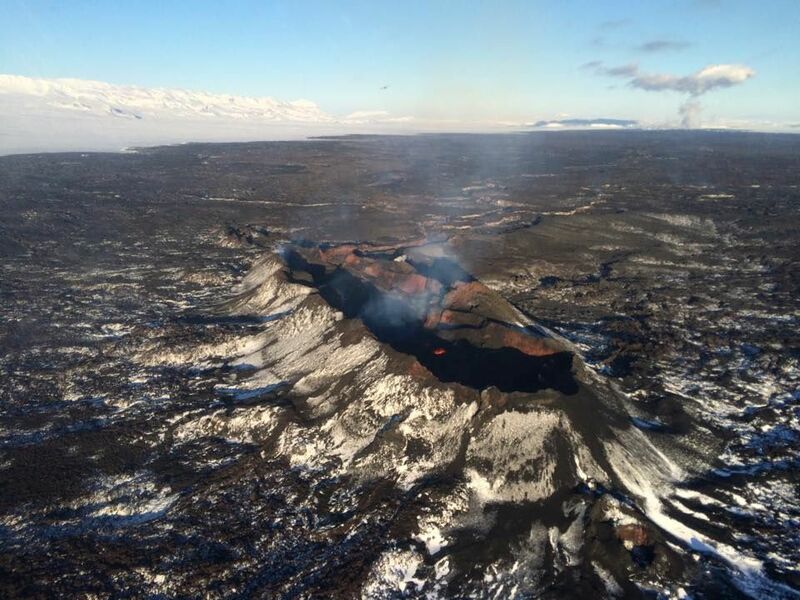 Thjorsahraun is like Holuhraun 2014 but 30 times larger! Jesper, there is one thing you can take solace in. As long as there is a non-zero probability of something. It will happen… eventually. That book had a disproportionate amount of influence on me and is probably why I like hanging out here! How fast Thjorsahraun was we cannot know, but since that eruption did not form a shield and the lava flow is 142 kilometers long we can assume it was quite fast to very very fast. Wasn’t very energetic then. According to witness accounts, Laki’s fire curtain ranged from 800 to 1100 meters in height across several km of the rift. I think that is probably would have looked like holuhraun or fissure 8 most of the time, at that sort of eruption rate the vent tends to just erode out from the heat and becomes too wide for any real fountains, as well as often drowning itself in a lava lake. The eruption rate doesnt change so much but it is basically a hole in the earth at that point. Thorsja would have probably had to have sustained eruption of hundreds of m3 per second for at least a few weeks for the lava to flow that far. the lava from fissure 8 took 4 days to flow 13 km at about 150 m3/s. Thorsja is about 10 times longer so it probably would have taken maybe as long as 2 months to flow as far as it did, though maybe only a few days to a week to flow to near where hekla is as it is a valley up to that point. The alternative is that it was actually just as intense as the skaftar fires (definitely plausible) in which case it would have covered the distance in days to weeks with an eruption rate of thousands of m3/s. The start of holuhraun saw its lava flow advance several km in the first day at about 1000 m3/s and that started on wet ground like most of what thorsja was flowing over. Still these pale in comparison to skaftar fires, eldgja and thorsja. Skaftar fires comes in at around 18 km3 of magma total, 10 times more than holuhraun. 14400 megatons, equivalent to 10 times the worlds nuclear arsenal, or a much larger VEI 7 bigger than any actual event in the holocene epoch. Eldgja is bigger still, 21 km3, 16800 megatons. Then we get to thorsja… 35 km3, 28000 megatons… That amount of energy is equivalent to 117600 petajoules or 32667 terawatt-hours, and it could power the entire earth for over a year. These 3 eruptions all on their own account for a very significant part of the earths entire volcanism in the holocene. Their combined energy is 59200 megatons, equivalent to 1184 tsar bombas, or 74 tamboras, or a couple of sizable VEI 8s. 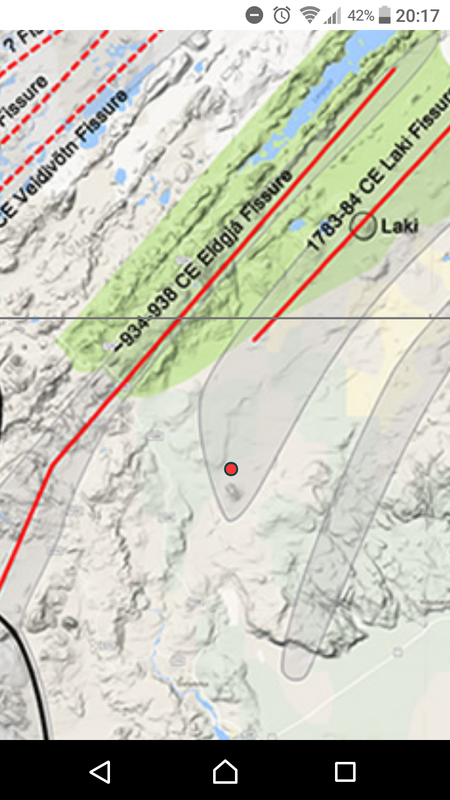 It wasn’t 1.2 km³, it was 0.76 km³ based on data from HVO which makes it roughly half of Holuhraun. Where did you get your figure from? The thing is that I think HVO estimated the volume from the rates measured at fissure 8, that way they don’t loose volume to the ocean in their calculations and they also probably are aware of how thick the lava delta is. So if they calculated the geometry of the channel and the speeds of the lava right then they should have got the right number. That is exactly what I did, basing it off the most widely reported number for the eruption rate – 140 m3/s. I don’t know where the 98 m3/s figure comes from, it was used during the actual eruption but afterwards it was discovered the channel was deeper than they thought so it must have been higher than that. Anyway I found the volume of lava from fissure 8 alone to be about 1 km3, and the volume erupted just before that to be a bit less than 0.2 km3. This even completely avoids the fact the flow is 300 meters thick in the ocean. As much as I respect HVO it does seem like their numbers are somewhat inconsistent with the volume you would get from actually having that much lava erupt at that rate for the duration of the event. Kilauea might be particularly prone to this, any eruption of even moderate size there will reach the ocean and it is hard if not impossible to accurately measure the volume of submarine debris below a lava ocean entry. Given that there were extended periods of time where pu’u o’o was discharging its entire volume directly into the ocean for months without any surface flows you can see where this goes. The number I remember is of 100 m³/s and 150 m³/s was for the surges. I don’t think the lava delta reaches the thickness of 300 m either, it is probably around 150 m deep towards the tip of the new cape from what I have seen. On google earth I made a map of the new lava based on a file HVO made and I found the spot at the est tip of the flow to be -290 meters. Google earth isn’t that reliable underwater but I wouldn’t expect it to be twice the value it actually is in real life. The sea drops off fast on the south coast of Hawaii, it is 1 km deep only 2.5 km off pohoiki. really the fact the flow went as far as it did is impressive in its own right. Takes eons to download anything there, or at least for me. On that the depth of the ocean at the end of the flow near ahalanui is about 400 meters, that is just for the bit where the flow is still above sea level, there would be some more going on even further underwater, this is the main part of the ocean entry. At kapoho it much is less and about 130 meters. Also to do with the eruption rate, I saw a video of a presentation by HVO that included a mention of an increase of the summit collapse by a total of 144 m3/s, and because nowhere else on the volcano was showing inflation, or any deformation at all, that means all the magma was leaving at the eruption point at the rate required to drain the summit with that volume increase. Fissure 8 was main vent from May 28 to August 3rd, a total of 67 days, and during that time it was pretty consistent at the rate of subsidence. There are 5788800 seconds in 67 days, so 5788800 x 144m3/s = 0.83 km3. This isnt quite as high as before but it is already more than 0.7, and this is only for fissure 8, the malama ki eruptions in the 10 days before fissure 8 erupted were going at the same rate but less concentrated at a single vent, and so that would add another 0.14 km3, making the total 0.97 km3, and then adding on the lava from before May 18 (mostly from fissure 17), brings things up to around 1 km3 pretty neatly. Not quite as big as my other estimate but rather more than the HVO number. It was likley much much larger than Laki at start IF it went faster. Lava fountain columns of Thjorsahraun( the black part ) likley reached near 20 kilometers tall at start. The main fountains ( red part ) later was likley as tall as Laki or somewhat taller ( 2000 meters ). As that eruption went on… the lava woud pool in the large vents forming dome fountains and fast rivers. This event released around 30km3 of lava and beacuse the flow is massive and narrow and long over almost completely flat ground, its a sign it went very fast indeed. Eruptive rates of perhaps 6000 cubic meters a second during the majority of that eruption and perhaps 15 000 cubic meters a second at start. The lava flows from this was mostly Aa and smooth pahoehoe in channels close to the vent. It must have flowed like a raging river in spring flood. Thjorsahraun crashed into the Atlantic 140 kilometers from the vent. Its Laki 2X. It must have been an impressive scene from space. Most of Thjorsahraun is buried by sediments from 8000 years of glacial floods and river sedimentation so its hard to estimate how large that flow is. Thjorsahraun have a compostion thats very similar to Holuhraun. Souch flows from these can have volumes of 5000 to 15 000km3 ! A 20 km tall lava fountain would be impossible, the energy needed to do that would pulverise the lava into ash. This doesn’t mean that much energy wasn’t actually there, but that the fountains would have been more like plinian eruption columns at the start, before eroding the vent and flooding out. 1477 could have actually been very analogous but didn’t have enough magma to give a big flow afterwards. In this case, thorsja evidently wasn’t just a lava flow, it probably had flow rates of similar scale to skaftar fires, except it either went longer or had twice the eruption rate. If it went longer then the volume of lava at the end of the flow would eventually be enough to extend it further than the supply rate would otherwise allow, this is like a pahoehoe flow but scaled up. If it was instead just a simple a’a flow then it was much more vigorous and pretty much exactly what most people would imagine a lava flow that big would look like. Also yes, a thorsjahraun sized event is definitely possible now, the rate of really huge rifting fissures was higher in the early Holocene, as were shields, and then they have declined. However while shields have stayed low since the mid Holocene, the last 1200 years has seen an increase in massive rifting fissures, eldgja and laki are the 2nd and 3rd biggest Holocene lava flows in Iceland, and both of them are very far from early Holocene. Bardarbunga won’t be doing the next monster flow though, it hasn’t got it after holuhraun. Personally grimsvotn and related volcanoes are the biggest threat, even if that was where the most recent massive flow happened from. That eruption coud be behind Bardarbungas main caldera formation. It was an event like Holhuraun but 30 times larger. Laki, Eldgja suggest these events are very possible again. the slowing of rapid Postglacial rebound and decompression melting .. wont slow down the chance of these events happening again. One day… there will be a new Thjorsahraun and world news and media storm. Katla and Vatnajökull seems most likley to do these stuff. Likely wont happen in my lifetime but sometime it will happen again. Let’s see if it survives the review. At the moment it’s on the tip of the Grimsvötn fissure swarm. We should update the Eldgja dates on this plot.. Remind me of the dates Albert, I’ll update it tomorrow. Which site did this image come from? I’d love to see more of this map! It’s the VC Icelandic Mammoth map, there’s a copy of it as part of the eruption poll I did a couple of weeks ago. It’s still a work in progress due to small children at home and no time to update it. I use this map on a modified copy of the 3D Earthquake plot code that I’ve been tinkering with. Once both projects are done, they’ll be available on here for reference. Nothing eruptive.. just the caldera plug interacting with the mid ocean ridge and spreading faults and its the plug that is still settling. Souch individual flows coud have volumes of 5000 to 15 000km3 or larger!. This is a VEI 8+ effusive eruptions. In the most scary examples you can have fissures ( 300 to 600 km long ) Some old dykes in earths crust are many 100 s of kilometers long some over 1000 for old Canada LIP dyke swarm I think. These fissures with huge lava fountains roaring all over its lenght. Lava flow rates like the biggest jökulhlaup you can ever Imagine. They would be terrible events. Imagine a 50 meter high lava flow coming at you at 20 km/hr. With deadly sulphuric air 1000 km away. Luckily they are very rare. For global warming, we are actually doing as much ourselves as a flood basalt would. Only the Siberian traps did more, and it was lethal. We started global warming from a cold (and cooling) climate, so so far we haven’t seen many bad effects, apart from the drying out of the Middle East. But we are playing a dangerous game. I often wonder why we live in a time when giant flood basalts are a thing of the distant past. Is this a geological phenomenon that has ceased as the earth has cooled? Or is it merely good luck that we have avoided a large flood basalt event? According to this paper, they (large clusters of LIPs) have a frequency of ~170 MA. If the last one (if you don’t count Iceland) is the Columbia River Basalt at ~17 MA we may have some time to wait, thankfully. But, this wasn’t a large cluster event. There seems to be a higher frequency of smaller LIP events. There are numerous small cycles involving impactor events, hotspot tracks and continental break-up involved in these. I’ve seen figures from 10 MA to 20 MA. According to wiki there have been 5 in the last 100 MA, so 1 every 20 MA. Hawaii is another very active LIP, mauna loa and kilauea combined are the same volume of basalt as the columbia river basalts and nearly all of that is less than 300,000 years old. Since Maui Nui started forming 2 million years ago there has been half a million km3 of basalt erupted, probably more as that is fairly conservative and doesn’t include that most volcanoes lose a lot of their mass through landslides after becoming inactive. In general though, conditions capable of creating a lava flow big enough to be considered a true flood basalt (1000 km3+) seem to happen about every 10-20 million years. This means that the next real flood basalt might be somewhere in the geologically near future, maybe Carls Norway post will be the spot. In my view though, a lava flow that in in the hundreds of km3 range would be basically a flood basalt anyway, just as a volcano that erupts 500 km3 of magma is basically a supervolcano even if technically not a VEI 8. Iceland is potentially able to do a lava flow within this range, and some of the submarine sheet flows north of Hawaii are probably in this range too. In both cases more will occur eventually. Wel. Good luck is relative here. These events last longer than our history as a species so the eruption would be concidered the normal. In an uchronie where one erupts in the US. It would have gone unnoticed in the rest of the world for most of history. With its weird effects on climate concidered just the way things are on this planet. Columbus would likely eventually stumble on an empty continent. (Assuming the volcano blocks travel of early natives to the US.). Colonist would do expeditions and the eruption itself would eventually be discovered and concidered hell or some other forbidden land. Eventually we would understand it better as science processes and learn of its role on climate and such. We would discus it here as a interesting volcanic ongoing event like Hawaii and Iceland. Yellowstone would be forgotten as a small fart and we would worry more about it suddenly stopping. Citing the terrible effects small pauzes in the eruption had on our climate in history. Many large flood basalts happen during break-up of continents. The demise of a supercontinent shows flood basalts. That is uncommon at the moment because the continents are pretty broken up already. But not all flood basalts do. The Columbia flood basalt failed to break the plate. Neither did the large Siberian traps. Those can happen at any time. Terrible and Amazing! Flood Basalts have always been my favorite type of volcanism. For me who are addicted to large fast massive fluid basalt eruptions, nothing else can be better than that. If I coud be there near the vents when Siberian Traps and Deccan Traps and Camp was at its peak.. Nerdvana woud be achived. Give me oxygen gas and endless food and water and I coud spend my whole life: going around looking at erupting Siberian Traps vents. The pyrocumulus and convective weather near the vents of these huge basaltic flows must have soure been impressive as heck! Areras for 1000 s of km around will become quite unbreathable and specialy downwind of the fissures, weeks after the start of souch a ( 10 000 km3 flow ) the world gets smoged by a yellow haze its Laki Haze but much much much worse. Pangea prevented earths mantle there from loosing heat. The lava flows have long since eroded and broken up by seafloor spreading. Thats one of the largest lava flows to ever flow over land. 12 million km3 I think the original volume was. The early dinosaurs got hell served. Lava flow rates maybe bigger than the biggest jökulhlaup you can ever Imagine. The gas output from the pangea pre – breakup LIP s was resposible for the hot and humid Triassic and Early Jurassic climates. the co2 output from these LIP s was collossal. This caused the triassic – jurassic dying event of fauna and flora and CAMP proivince is ofteb blamed for that. What an impressive sight CAMP must have been, fissures 100 s of kilometers long with giant fountains all over. The original CAMP plume head must have been many many thousands of kilometers across and have an astenospheric temperature good bit above 1500 C.
This makes Hawaii and Iceland plumes seem like toddlers. That plume have long since cooled and died and been replaced by the cooler mar spreading. run all the way to the Oregon coast Yaquina head is Grande Ronde basalt. My pet basalt pillar n my garden is from the Imnaha flows-which are older..
was there a missed picture here?? USGS Page for 7days, 2.5+ quakes..
Coelophysis and Plateosaurus and Lystrosaurous and Desmatosuchus are one of the dinosaurs and other reptilian species that was lucky enough to see CAMP in action. I expect that many was caught in the lava torrents too as Pangea vent magmageddon. It happened 201 million years ago these severe flood basalts. Brave dinosaurs watching the giant fountains and huge raging mammoth sized rivers! Of course they did not knew a thing of what they watched or why it was so hard to breathe. The co2 and sulfur gas output was collossal, from these fissures, during short periods earth was likley as hot as periman dying. The dinosoaurs survived this depsite it was much larger than Deccan traps. A single flow coud be many thousands of times the size of laki at worst end. Most flows was likley many hundreds times Laki in size. The whole Mesozoic era was mostly very warn and humid.. these huge LIP events and superfast seafloor spreading of the young Atlantic released alot of co2 into the atmosphere and pushed up the sealevels. Today co2 is 400ppm but in Jurassic and Triassic it coud be at times many 1000 s of ppm. A warm and humid world without icecaps and flooded continents the dinosaurs had. When earth is very active and volcanism is high.. we gets a greenhouse era. After the dinosaurs died .. earth became less active and co2 lowered.. this gave us the Ice Ages. But now.. massive humans co2 emissions is like Albert says… just what the flood basalts did. CAMP was far bigger than the Deccan traps in volume, but being on a rift it was probably subject to the same reason why Iceland isn’t a flood basalt, the rift steels a lot of the magma in spreading. Obviously this didn’t go quite as far with the CAMP, but a rifting flood basalt will probably never be as intense as a hotspot flood basalt. Back then dinosaurs were also way less derived than they were at the end of the Cretaceous. This is the same effect as why most of the mammals that survived the KPg event are now long extinct but modern mammals would be hard pressed to survive an extinction event. I wonder if the combined CO2 release of the Deccan traps as well as its massive heating were why the last million years of the Cretaceous were marked by a sudden escalation in temperature and also why the earth was so hot and had so much CO2 in the atmosphere up to 30 million years ago? Where the sea is feed there coud be huge dome fountains sending large waves over the grey skinned surface. And lava waves crashing against black glassy shores of basalt slag. This kind of stuff woud happen when a massive ( +1000km3 vent system ) calms down and goes into steady flow mode, when the vents have opened up and enlarged and merged togther. Just Imagine huge lava fountains over fissures that can be many many 100 s of kilometers long. Some old dykes in Earths crust are close to 1000 km long. Suggesting fissure eruptions can reach unimaginabe proportions. Souch events woud cause enormous problems if they happened today. On Venus flood basalts are even larger than on Earth, one lava channel on Venus is around 6800 kilometers long! Thank you everyone! That was interesting. So a few million years to wait, eh? I’ll have a word with my doctor, see if he can give some more pills to keep me going. Does any one want to comment on the signal on most of the seismographs around Mauna Loa. Looks like harmonics, it is happening now. From MOKD, Wild, Dand, …..to the shore CACD, KAPD. There is a little rain around, winds are light, and the surf for most parts are 2-4 feet, I thought I would need to see more surf to say that it was the weather. Should have been more specific, started around 15:40 utc and ended around 16:20. There have been more northwest flank earthquakes, 3 today and 2 yesterday, but activity is much lower than in early this month. The signal would seem to me to be stronger in the upper SWRZ and northwest flank so could it be related to an intrusion there? That looks very similar to the lahars of Agung. A rain storm on the eastern slopes of Mauna Loa, perhaps? The signal is strongest on the slopes of Mauna Loa, pretty much all around, but fainter at the summit and at lower levels. So something that happened at mid levels. I still think flowing water is the most likely cause. Maybe NASA moved their Launch pad on the side of Mauna Loa?